Timing is everything!! Ridgeview Hills offers this 4 bedroom, 2 bathroom home on an approx. .31 acre (13,809 sq.ft) corner lot. Find some original character that you will love or choose to improve; this home could be yours to begin creating new memories. 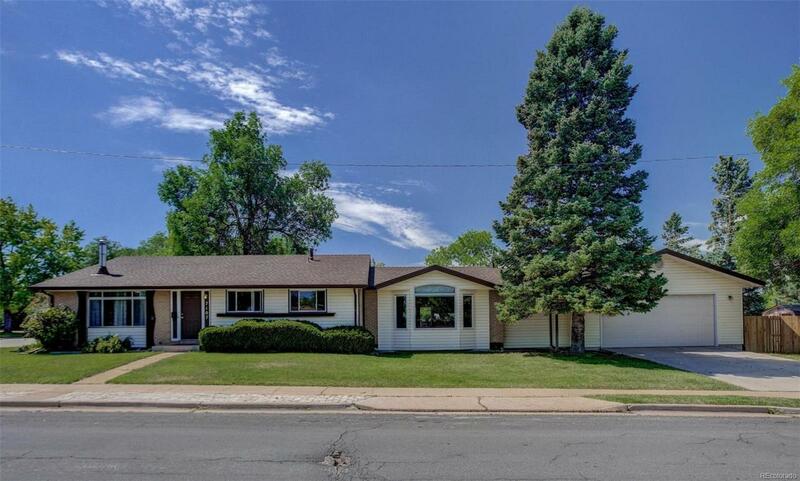 There are 3 typical sized bedrooms for this era on the upper level with hardwood flooring and a full bathroom, newer spacious suite/retreat on lower level complete with garden level windows & bright newer 3/4 bathroom. From the front door you'll step into the vaulted living room with cozy wood burning stove, the kitchen has 2 windows for natural light, over-sized pantry, ample space for large table and all appliances stay! WOW, you will love the addition; steps from the kitchen is the vaulted family room with bay window and french doors to backyard. Mud room & storage closet are on the way to the OVERSIZED GARAGE with loads of cabinets! Playhouse & storage shed!! Littleton Schools/Arapahoe High!! Minutes to park, dining, shopping!